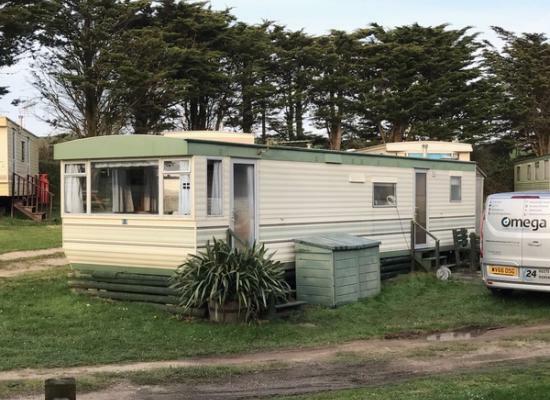 6 Birth Caravan situated on a quiet site in St Mawgan, near St Eval. Close to Mawgan Porth and Padstow. Trevilledor Caravan Site is a quiet, low key farm site near St Mawgan and St Eval. The caravan site doesn’t have any on-site facilities but is within walking distance of a post office shop. If you are looking for some peace and quiet then a caravan holiday at the Trevilledor Caravan Site is ideal. In the local area there are some great places to explore, particularly if you enjoy walking in beautiful countryside or visiting the beach, with 7 beaches nearby. Nearby locations within a short drive worth exploring include Harlyn, Trevone, Bedruthan Steps, Mawgan Porth, Porthcothan, Constantine and Constantine. For larger seaside towns then a visit to either Padstow or Newquay is a must as they both offer a good selection of restaurants, pubs and shops.